Just launched today as an Indiegogo campaign (and over a quarter of the way to the goal as I am writing this) is an interesting product idea called DIMPLE from dimple.io. Dimple is basically a sticker with 4 buttons that can be added to many Android 4.0+ devices that support Near Field Communication (NFC) and the Dimple app. It requires no batteries because it uses energy that is radiated by the NFC reader. This prototype product is not one made specifically for people with disabilities—obviously from the response on Indiegogo, many people are interested in having customizable, programmable tactile buttons on their smartphones and tablets. Dimple has potential accessibility uses. Such buttons would be useful for people who cannot see, because the buttons can be tactilely discerned and located. These users could associate some of their most commonly used functionality with the buttons and access them directly, instead of having to navigate through menus with the TalkBalk screen reader. 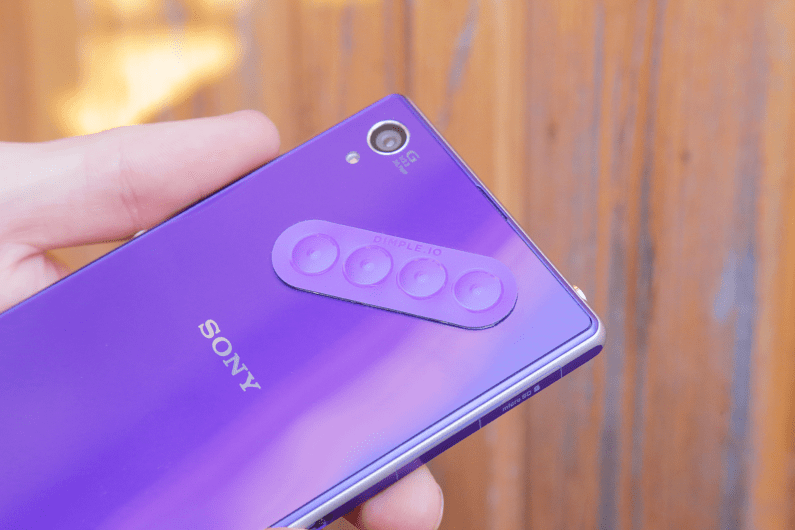 I do not know the exact capabilities of DIMPLE, NFC, or Android TalkBalk, but it would be very useful if the Dimple buttons could be used to access the TalkBalk screen reader or to generate virtual keyboard keystrokes. If capable, it would be very useful to have dedicated buttons to navigate through applications and make selections. This would be less fatiguing than making many swiping gestures to navigate. On Kickstarter until August 15, 2013 is the Bradley timepiece project. 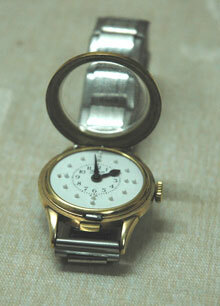 It is a wristwatch that has tactile features that allow it to be used by people who are blind. It has an elegant design and greatly surpassed its fundraising goals. Before this design, there were two general approaches to accessible wristwatches: talking watches and tactile watches like the one pictured below. Talking watches may not be easy to hear in noisy environments. With traditional tactile watches, users must lift a cover, which protects the delicate hands of the watch face. The Bradley does away with hands and has two ball bearings that are magnetically attached to the movement, which makes the watch more durable. The position of the ball bearing on the face denotes the minutes, while the ball bearing around the periphery of the watch denotes the hours. The Bradley timepiece is a good example of a design which incorporates Universal Design or Design for All principles. Its popularity on Kickstarter is more a testament to the attractiveness of the design than strictly to its utility for people who are blind. Such a watch can be used by people with and without visual impairments. The titanium watch has a very elegant appearance. My only worry is how much the titanium would scratch with everyday use, but that is not an accessibility topic! See more information at the Eone Timepieces website. The site has a very elegant design, but unfortunately and ironically, the site is not very accessible in its current form (and is thus not an example of Universal Design).